High Peaks Pure Earth has translated a blogpost by Woeser written on March 16, 2013 for the Tibetan service of Radio Free Asia and published on her blog on April 13, 2013. Woeser has previously written on increasing levels of surveillance in Tibet and is herself a target of surveillance and monitoring but this blogpost focuses only on monitoring using technology such as mobile phones. It is clear from the post that chat software such as QQ and smartphone apps such as WeChat present new threats to Tibetans who use the services. 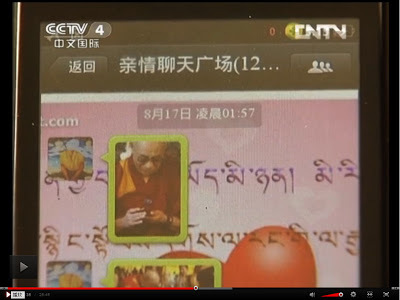 In the propaganda film about Tibetan self-immolations shown on CCTV over two months ago, many of the Tibetans that were severely punished had been betrayed by WeChat, QQ or phone calls. The above photos are screenshots. A few days ago, Radio Free Asia reported that Beijing sent special groups of mobile phone technicians to examine the phones of monks from Drepung Monastery, Jokhang Temple, Ramoche Temple and Ganden Monastery starting from March 8. Lhasa’s monasteries were also going to be checked over a period of a few months. All monks that are caught having messages or images that “harm the safety of the country” stored in their mobile phones would be faced with strict measures and might even be arrested. This means that at this very point, special technicians are still checking the phones of monks at all the monasteries in Lhasa. It is clear that it is almost impossible for monks to hide from these extremely extensive and thorough inspection methods. Are they launching such a large-scale campaign simply to check whether monks have stored any messages or images that “harm the country’s security”? I forwarded this news on Twitter and included my questions and doubts; within no time, I received some feedback. Of course they don’t check the phones in the presence of monks. According to reports, the inspection work group collects all phones in a monastery and spends four or five days checking them without the monks being able to see. Moreover, whenever the inspection teams are carrying out their work, they are accompanied with fully armed military police. Often they search one or two of the monks’ residences and turn them upside down; such situations are actually quite frequent since March 2008. On Twitter, I also asked if the mobile phone inspection wasn’t about threatening people. 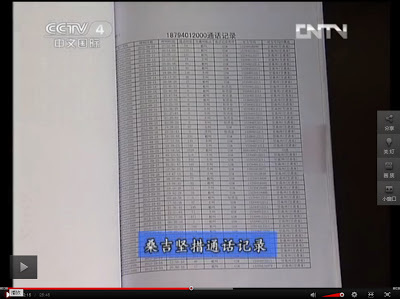 On March 15, a report appeared on China’s official China News Website, stating that “according to numbers of a report published by the DCCI Internet Data Centre, 66.9% of China Mobile smartphone apps capture users’ private information, of which phone records, SMS records and address book directories are the three most dangerous areas of data leakage. The report also stated that as many as 34.5% of China Mobile users are affected by “privacy invasion”; sensitive and private information has been obtained from smartphone users that are unrelated to the functions of an app itself, these include phone records, GPS data, SMS content and other extremely private information. In short, the reason why the country’s power is directed at certain groups of people in certain places by collecting their mobile phones, is for one to examine them and to threaten the people, but what is more dangerous is that perhaps, it is to install an application on each phone, through which information about the users can be collected, leading to personal information about the user being revealed without him or her being aware of it. Casting such a vast dragnet across an entire area equals to turning the mobile phone that everyone carries around with himself or herself into a self-monitoring policeman. Previous to this, in the propaganda film made by CCTV about the self-immolations in Tibet, most of the Tibetans that were arrested and sentenced were caught by the local authorities and severely punished because they had sent out messages about self-immolations through QQ or WeChat. QQ and WeChat, no matter whether used on a computer or on a mobile phone, have long been identified as serving as the “back door” of the country’s security bureau. Many years ago, someone described it like this: “One can feel the fear of Tibetans with one’s hands.” Now, the mobile phone has become the embodiment of fear; one only has to use one’s hand to press a few buttons and one may suffer a calamity. 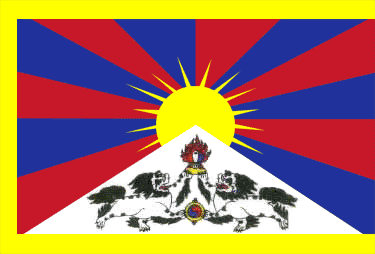 This clearly is some sort of national terrorism, national methods are used to control Tibetans to an even greater degree by means of computer malware.